On e week has passed since the earthquake first tore through the islands. In these past few days we have watched the death toll climb to almost 200 lost souls. We have felt several aftershocks, some of which have qualified themselves as more earthquakes, reaching 5.0 on the richter scale. People are afraid to sleep in their own homes and many choose to sleep outside. 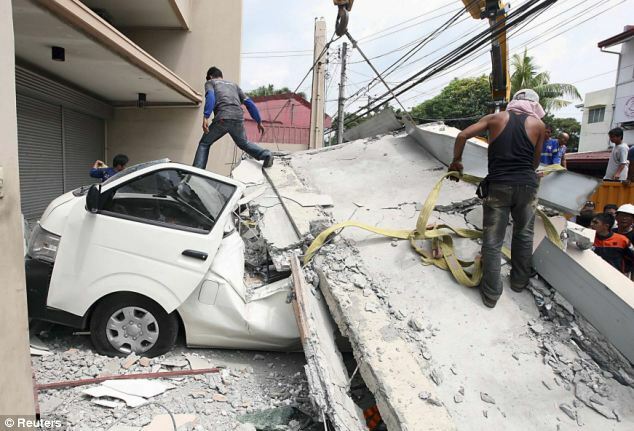 Even though it is very alarming to feel the tremors, we are not afraid of any further damage in Cebu at this point. 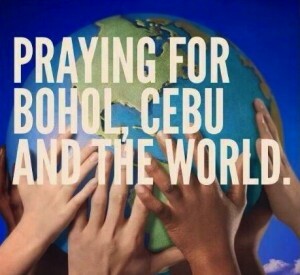 Our prayers are with those who live on our neighboring island of Bohol and feel every new quake that rips through the epicenter. This enormous tragedy has touched the hearts of many people living here. People are seriously thinking about life, death, and eternity. As they find themselves confronted with these fearful circumstances they are grasping for answers and for hope. Christ is the only one who offers them that comfort. In Him, they can find peace for their souls and rest from the fear that is in their hearts. Several came to our Sunday services and heard the Gospel for perhaps the first time. The hope of Christ has been planted within their hearts! Now we pray that they will consider Christ and make a decision to trust Him with their lives and eternity. 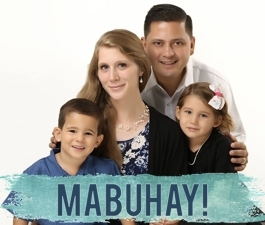 Keep praying for the people in the Philippines! By this time, most of our readers have probably heard that we experienced a 7.1 earthquake here in Cebu. It happened around 8:10am while I was teaching at the Bible College. When I felt the first rumble I knew something bizarre was about to happen. It sounded like it had suddenly started to rain very hard…only there was no rain. When the ground began to move we immediately ran outside. Neighboring water towers were literally shaking like baby rattles. What really concerned me was that my wife was at home alone with the kids. Elizabeth was actually skyping her parents when it started. We have a lot of construction work going on next door so at first she wondered, “What in the world is that construction crew doing?” When the floor started to move she knew what was happening even though it was her first time to be in that situation. She grabbed the kids and huddled with them in the kitchen, waiting for it to pass. Her parents could hear glass breaking and the rumble of the quake. A large glass bottle fell from the pantry and exploded all over the kitchen. We later found large chunks of glass stuck in our wooden baseboards. It had fallen right beside Elizabeth and the kids, we found pieces everywhere, but somehow it completely missed my family. God is in control. He was there protecting my family when I could not. Nearly 90 people were killed in the wake of this disaster. Hospitals, malls, and markets have been damaged. We pray that God will use this terrible tragedy to show people that they need the Lord. Please pray that hearts would be tender and receptive to the Gospel! Thank you so much for all your prayers and notes!